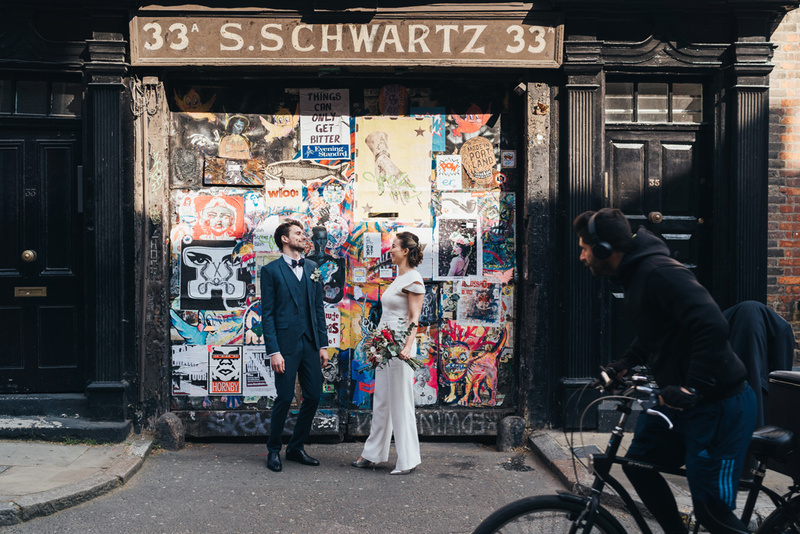 Camille & Benoit’s day started with a first look on the backstreets of Shoreditch. 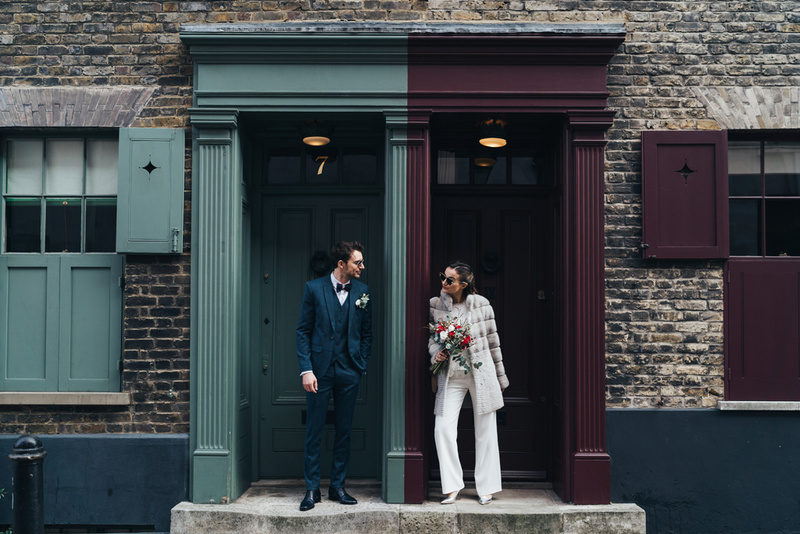 We wandered around the beautiful old London houses (some of my favourite streets!) in the glorious spring sunshine, then jumped in an uber to the Town Hall. 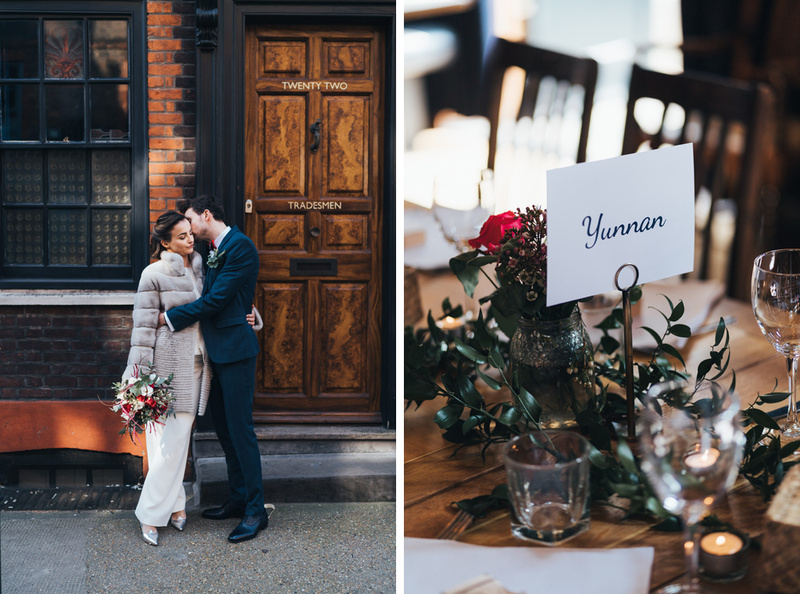 After a ride through London on a traditional red bus, they had a relaxed reception at St John’s Tavern in Archway, a lovely space with an outdoor area filled with sunshine. 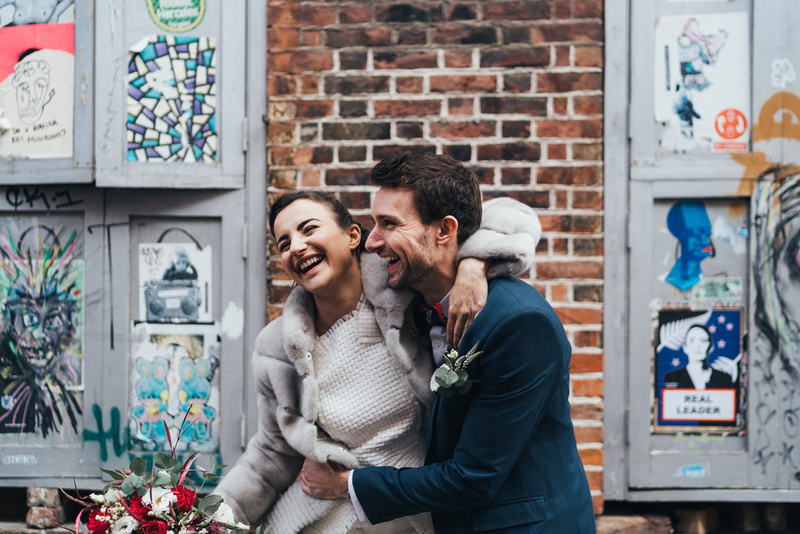 Their guests spent the afternoon finding hidden clues and performing tasks to win prizes in a treasure hunt, a really fun idea for a wedding day. 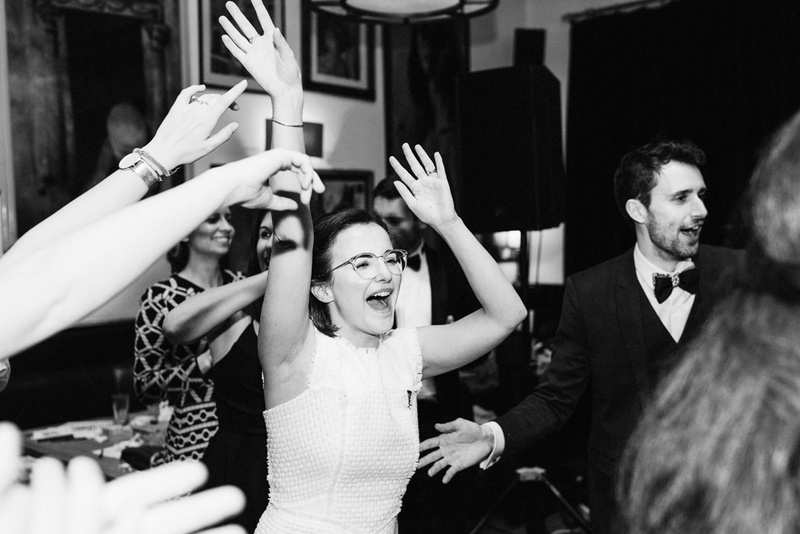 Everyone spoke French all day, so it was different for me not being able to understand what people were saying, but it was so wonderful – you could feel the love & happiness from everyone. 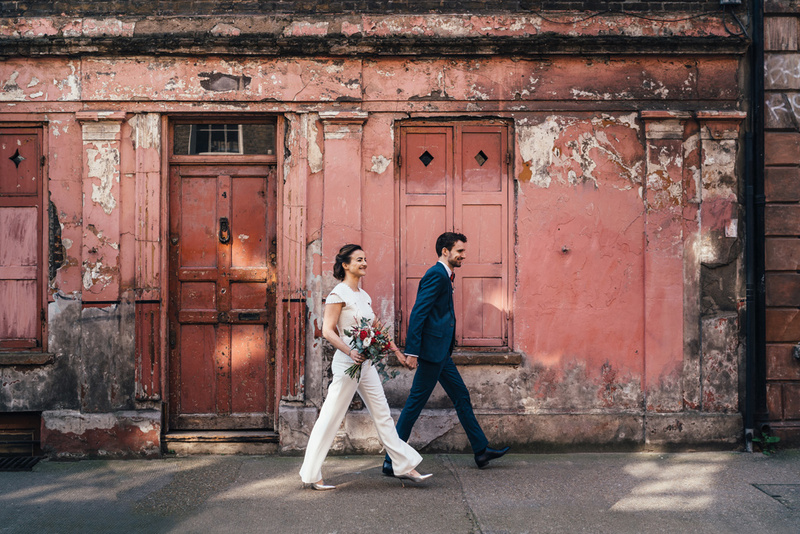 I always love when brides go against tradition & Camille looked amazing in Sézane trousers & a top by Roland Mouret with those epic silver heels. 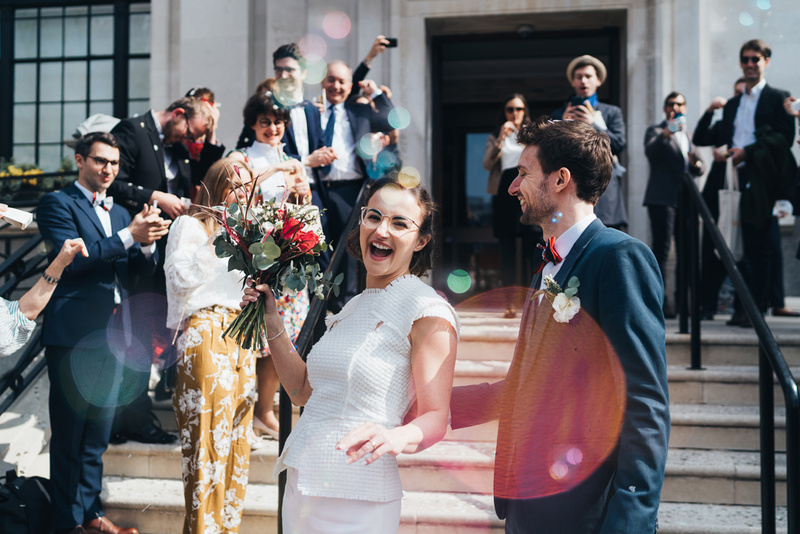 Here are a few previews from Camille & Benoit’s elegantly cool London wedding at Islington Town Hall & St John’s Tavern. 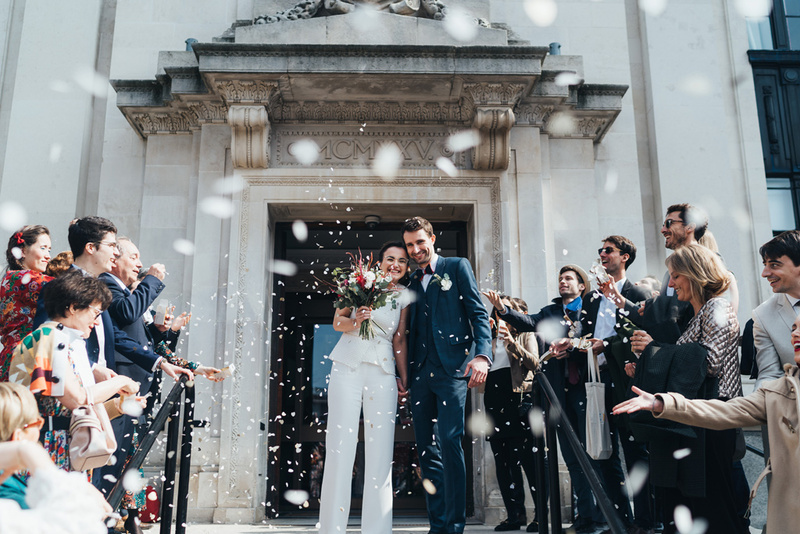 Great images – I love how well you captured the uniqueness of this couple! WOW, what lovely images. Really liking these back streets, what a great backdrop. Lovely set, especially like the photo of them walking, great background. Too short wanna see more Genevieve ! 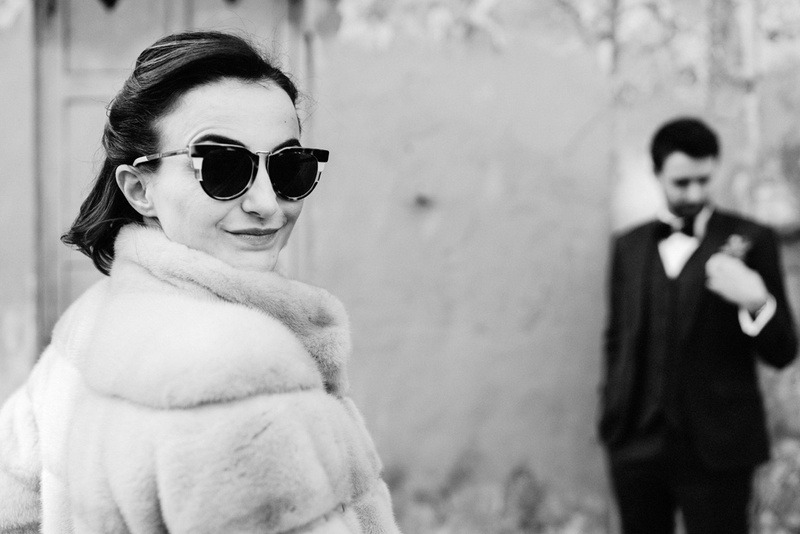 Uber cool – love this shoot. Great connection with the couple.